We're not sure why the high of a scent-related compliment is so entirely intoxicating. Perhaps it's because a fragrance can so easily become inextricably linked to a certain time period, experience, or person. Or perhaps it's just because the unique way we smell feels less obvious and intentional than, say, a bright red lipstick or shimmering highlighter (not that we don't love being complimented on those things). Even though a quick spritz (or in this story's case, a quick roll) can be just as easily washed off and erased as makeup, the way we smell, and another person's appreciation for it, feels a heck of a lot more personal. Our scent feels like an extension of both mood and persona—regardless of whether you're the type of person to wear a singular perfume for your entire life or the kind of person to experiment with a new fragrance weekly. And for that, we're unequivocally grateful for rollerball perfumes, an ingenious invention that allows us to wear our favorite formulas regardless of travel (they're TSA-friendly), Saturday night rendezvous (they always fit in our tiniest clutches), or even extra-sweaty workout sessions (they're one of our gym-bag staples). Plus, the fact that the majority fragrances these days come in the ever-so-handy rollerball variety makes the idea of them even more winsome. Better yet, they're significantly less stressful for our beauty budgets and allow us to play around with new notes sans the commitment of a full-size, expensive bottle. What's not to love? In an ode to our love for rollerball perfumes in addition to some of our all-time-favorite scents, we've compiled a very sniffable list of the top 10 rollerball perfumes practically begging for your wrists and décolletage. Keep scrolling for the 10 that never fail to earn us scores of compliments—or distinctively scented memories. No fragrance roundup could ever be called complete without a covetable elixir hailing from house Byredo. Gypsy Water is a consistent best seller, richly inspired (the brand says) by the glamorization of Roman lifestyle and the fascination with myth. The scent is a little bit fresh, a little bit smoky, and a little bit woodsy all thanks to this rollerball's delicately poignant melding of bergamot, lemon, incense, pine, amber, and vanilla (to name a few). 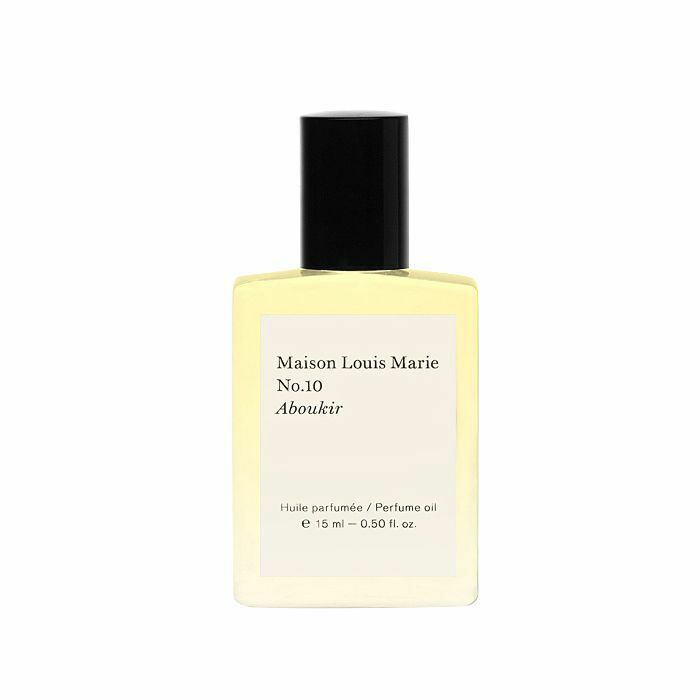 We're big fans of Maison Louis Marie's spicy and floral No. 10 iteration that serves as the perfect olfactory antidote for those who savor both salty and sweet. In this perfume's case, the touch of sharpness is lent from notes of eucalyptus, lemon, cedarwood, and vetiver, while cozy-sweet flickerings of nutmeg and sweet tonka bean round it all out for additional robustness. Personally, I go absolutely nuts for anything directly inspired by or reminiscent of Old Hollywood. That said, I prefer my fragrances to be light, airy, and not at all cloying (a rarity among historically rich perfumes from the silver screen's golden age). 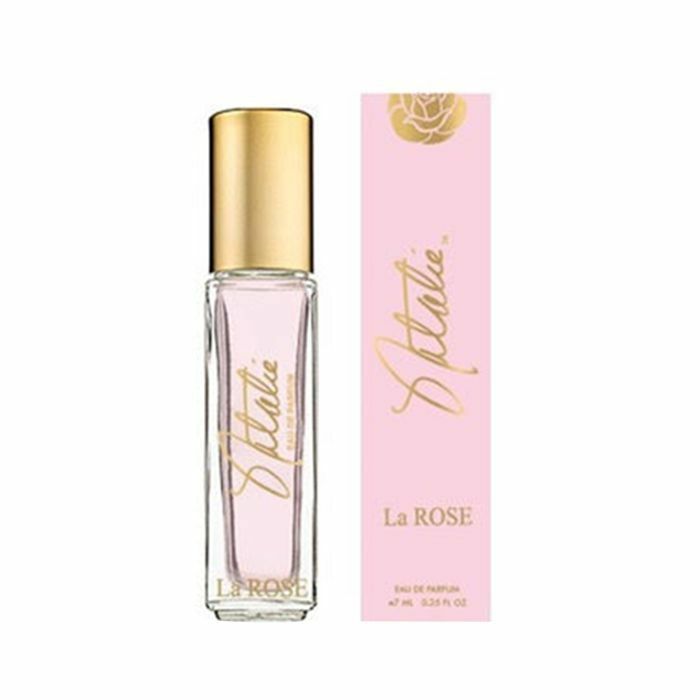 This perfume rollerball is inspired by the rose gardens of late Hollywood film star Natalie Wood and was created by Natasha Gregson Wagner (her daughter) in collaboration with Claude Dir, master perfumer at the House of Mane. It's infused with rose (obvi), geranium, and heliotrope for a fresh, forest-dewed finish that feels classic yet eons away from old-fashioned. Despite how highly personal finding the perfect perfume feels, Team Byrdie miraculously agrees the Nirvana Collection from Elizabeth and James is dreamy. We first fell in love with the two original debuts (Black Nirvana and White Nirvana), and our admiration has only continued with later releases like this one coined Nirvana Amethyst. It's described as magnetic, enchanting, and maybe even a tad mysterious due to its tobacco, honeysuckle, and cedar notes. 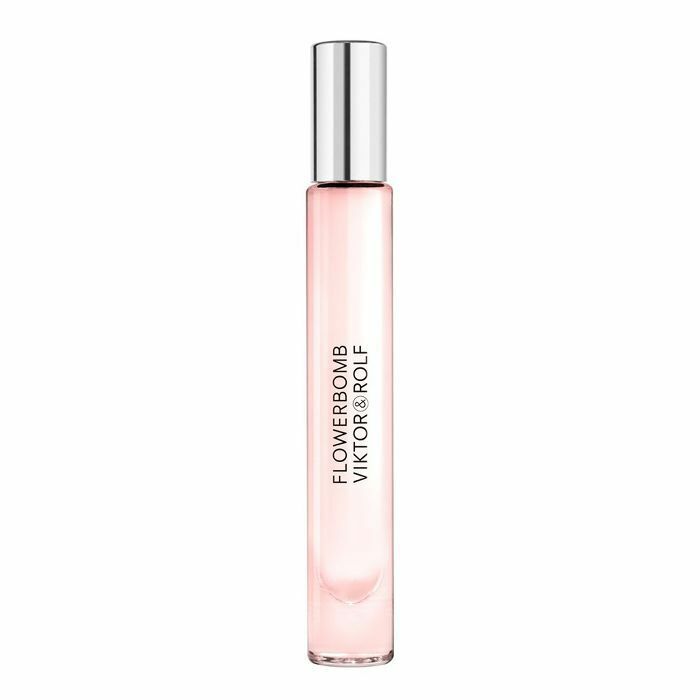 Viktor & Rolf's iconic fragrance Flowerbomb is another perfume that never fails to make its way into our scent-centric beauty chatter. We're thankful the dynamite combination of jasmine, freesia, amber, rose, patchouli, and praline come together in this travel-friendly rollerball version so we never have to worry about smelling anything other than heaven-sent. Brought back by popular demand (almost one year ago exactly) Stella McCartney's Peony is a classic fragrance that evokes nostalgia and adventure. Not sure what that smells like? Think an herbaceous concoction of notes like peony, pepper, patchouli, and lusty amber. In a highlight-of-my-career type moment last January, I actually sat down with Stella herself to learn all about the perfume. Click here for the full scoop. We're enraptured by Narciso Rodriguez's velvety and alluring cult-classic scent For Her. Whiffs of musk are at the perfume's forefront while touches of pink and sheer chypre, amber, flower honey, and woods beat harmoniously. It's so hard to choose just one of the Replica fragrances from Maison Margiela to include, but if hard-pressed, we'd go with this one entitled Lazy Sunday Morning. If you love floral fragrances, you'll appreciate this bright flora- and fauna-veiled number fixed with pear, iris, lily of the valley, and white musk for a light dose of featherweight heartiness. 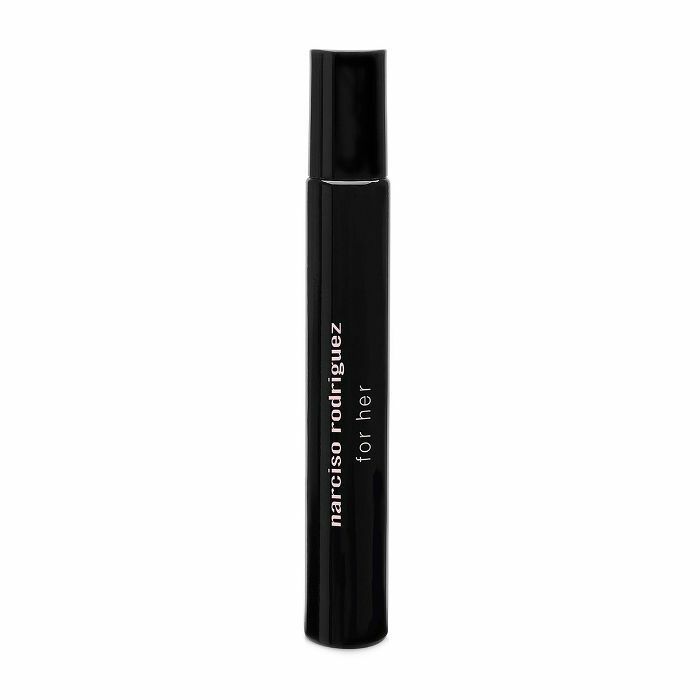 If warm and heady perfumes aren't your thing, we have a feeling you'll love Kai's signature perfume oil, which comes in a handy rollerball design. Don't be wary of the word "oil." It's in no way greasy. The effect is peppy, light, flowery, and sweetened with leading hints of gardenia, white florals, and other botanical essential oils for a super-lush finish. Diptyque is another heavy hitter in the fragrance industry. There isn't one perfume from the brand we don't desperately want sitting atop our vanities. That said, Philosykos happens to be especially obsession-worthy. It's reminiscent of the Grecian mountains and seas, further evoking wild fig groves and a little bit of ground cover (in the olfactory form of leaves and wood) for a balance of earthiness.